SOLD! Congratulations to Chris Preston! 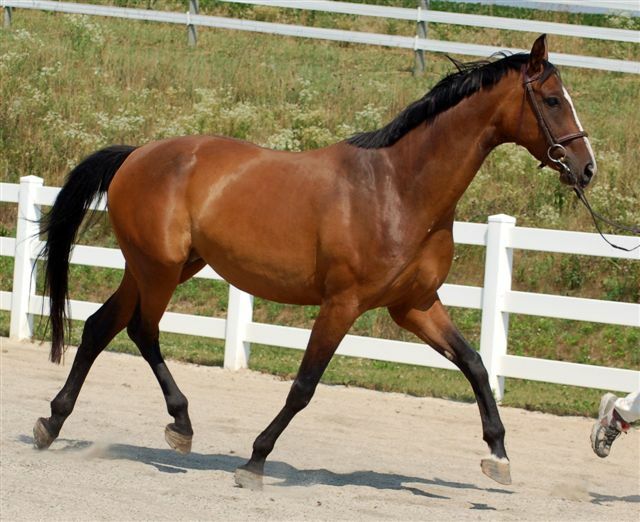 Ahvant Garde will be raised as a stallion prospect. SOLD! Congrats to Bob and Theresa! SOLD! Congrats to Mary Waldrop of SC! SOLD! Congrats to Hans of SC! Dhocker has IT- that look at me attitude and a presence that makes him just sparkle. He was named Premium at our GOV inspection. 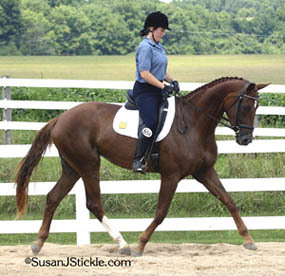 Now under saddle and showing three good gaits with a volunteer rideability. SOLD! Congratulations to Karen of MD! 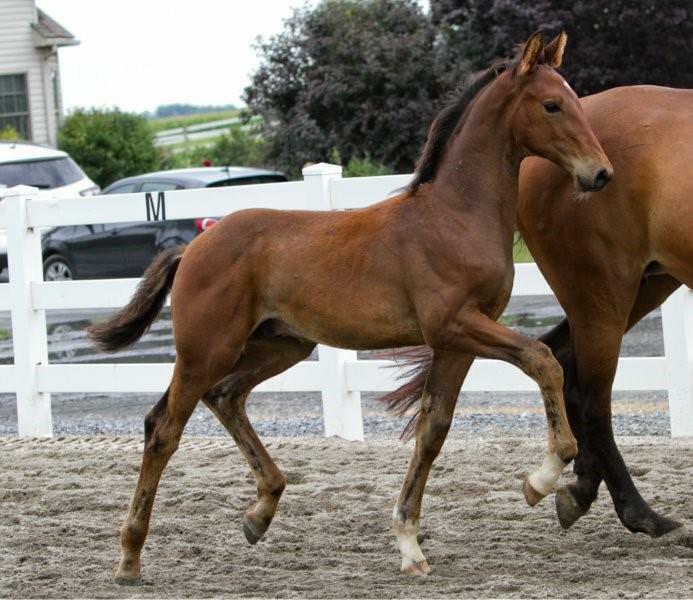 A very tall and substantial colt with powerful movement like his sire and dam. 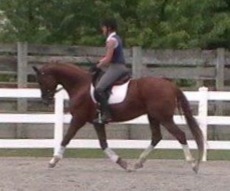 Look at the articulation in the hocks- WOW! SOLD! Congrats to Darcy Miller of PA! SOLD! Congrats to Paula Oliver of PA! 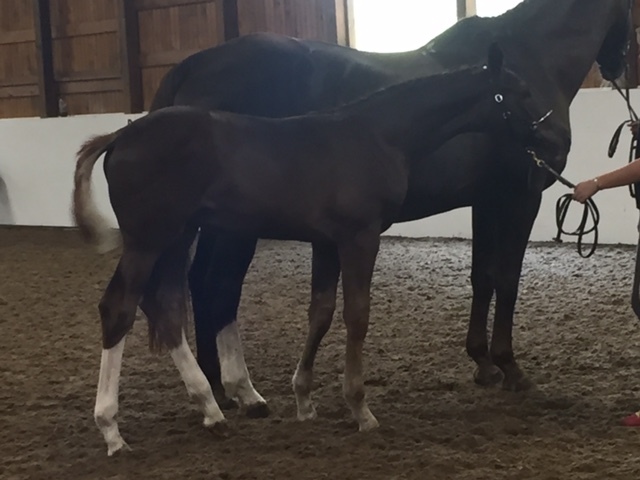 Named TOP FILLY at the New York American Hanoverian Society inspection! SOLD! Congrats to Christine Kropf of NY! 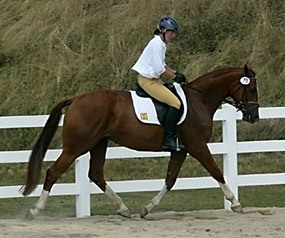 Dhewpoint was imported to the US after I lost her mother to colic. 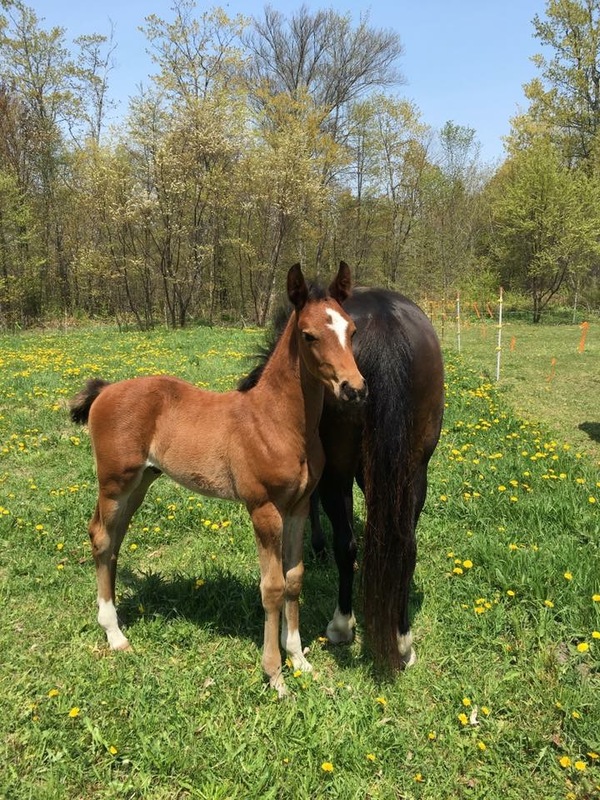 Her dam was a states premium mare by the Matcho son, Monty. That mare could really move! DiCaprio is by Davignon and out of a Raphael dam- very good performance blood. 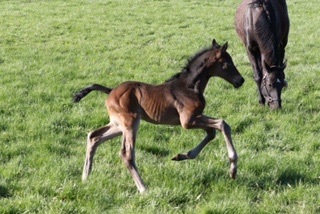 Dhewpoint out-produces herself in her foals year after year. 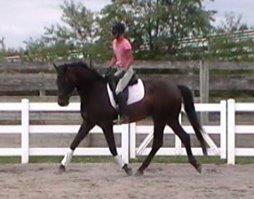 By DeNiro who is a 1993 Black stallion standing 170cm. He came in second in his performance testing score of 141.93 and was first in Dressage with a score of 145.41 and also had a jumping index of 117.75. 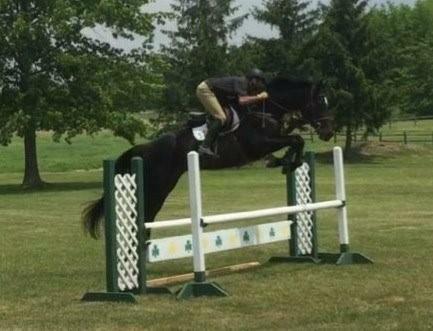 The DeNiro offspring are known to be athletic, exceptional movers and well-rounded, many can jump. Francesca came to me in a rather round about way. SOLD! Congratulations to Carrie and Michael O'Keefe of PA! 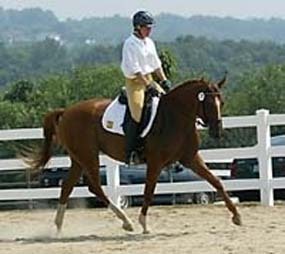 Sire Rienzi was very successful in the dressage ring in 2003, placing 15th in the USDF Horse of the Year rankings at Second Level. He was USDF Region 6 Second Level Freestyle Champion and winner of the Northwest Cup for horses competing in First through Fourth Level. He won over 20 blue ribbons in open competition. 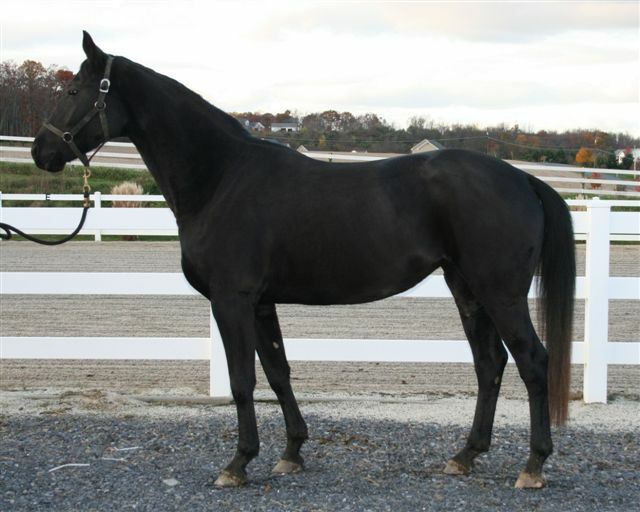 Sire Wallstreet Kid is by Warkant and out of the States Premium Mare, Erina, by Eiger I. She is the mother of the well known Londonderry, standing in Germany. 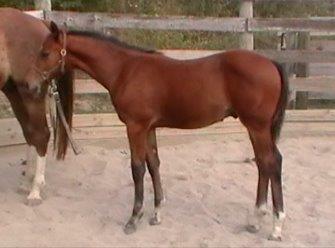 Kid was born in 1989 in Germany and imported in 1990 after topping the yearling sale at Verden. He is a very impressive stallion of the modern type, elegant, yet having excellent bone and substance. 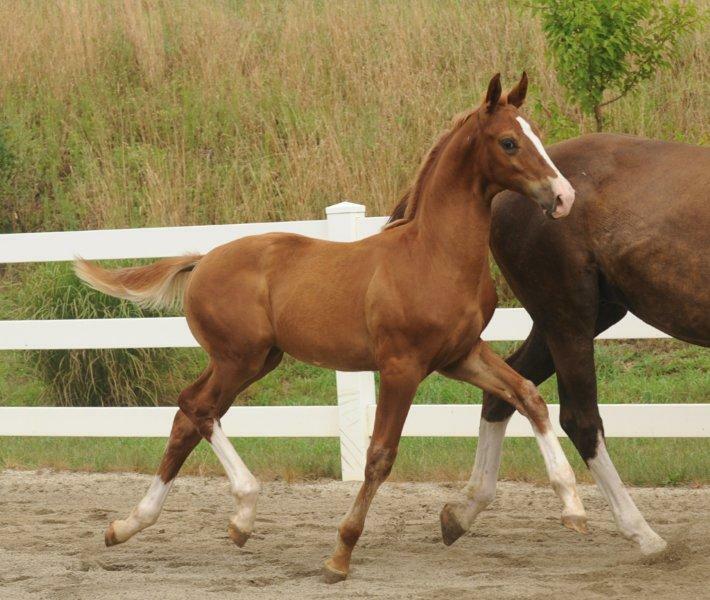 His gaits are elastic with suspension, cadence and balance. Kid was Champion of the Stallion Licensing in 1991. 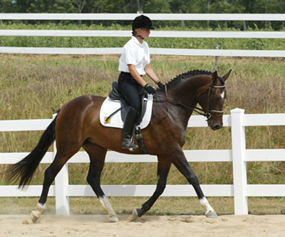 He was Reserve Champion of the 100 Day Stallion Performance Test in 1993 with 1st in Rideability. 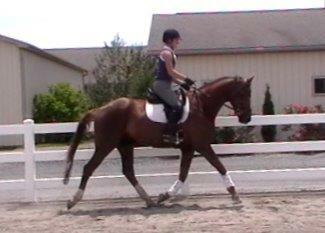 He scored 9's on character, temperament, capacity to work and rideability. Her sire, Weltmeyer needs no introduction. 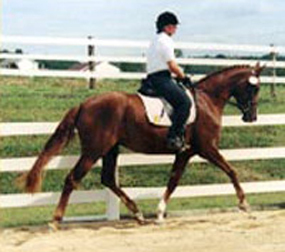 With his breathtaking movement and presence, Weltmeyer won his Stallion Performance Test in 1987 placing first in dressage with 143.94 points and third in jumping with 141.44. In 1989, he was Stallion Conformation Champion and DLG Champion and in 1998, he was named "Stallion of the Year". As a sire, Weltmeyer has proven himself to be a producer of Champions. To date, he has produced 70 Approved sons, 242 State Premium mares and countless top riding horses. It is no wonder that Weltmeyer is considered to be the "Stallion of the Century". Wow! is all I can say about this colt's movement mechanics. 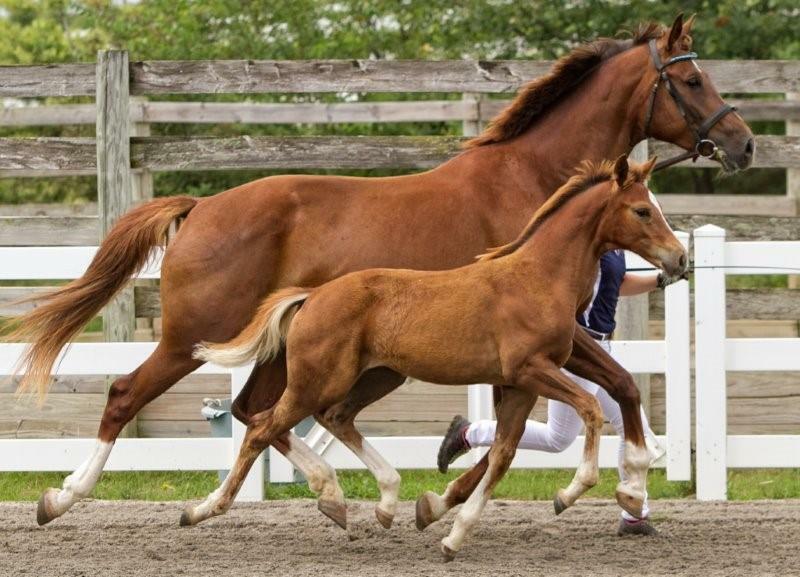 He is going to be very tall and substantial without being coarse- the kind of horse judges expect in the FEI dressage ring at the highest levels. He certainly has the performance pedigree to ensure that he gets there! SOLD! Congrats to Wanja of VA! 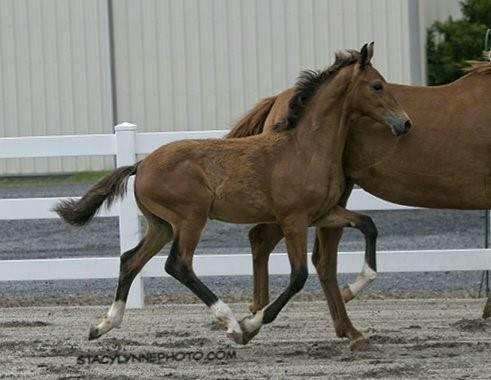 This filly is a compact powerhouse who can MOVE! 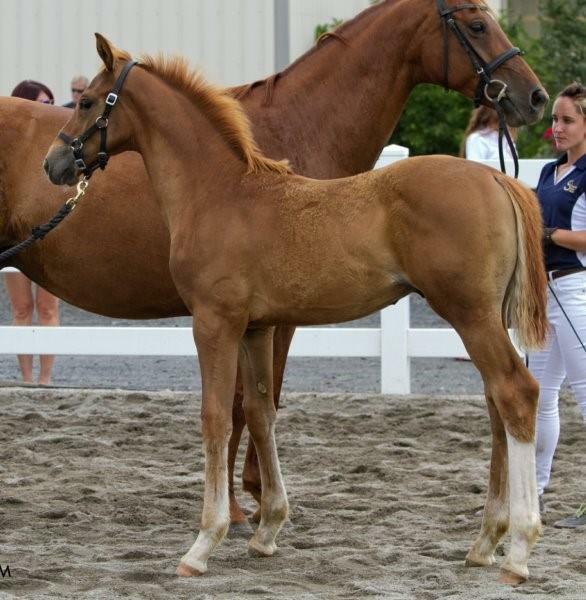 Cara fell in love with her and had to have this filly from Qhuiver, who was a favorite of hers to ride. SOLD! Congratulations to Cara Klothe! Lhoretta is going under saddle and she is one of those horses who moves great in hand, but then improves so much more under saddle. Nhight Music is rather typical of the offspring of his sire and grandsire. 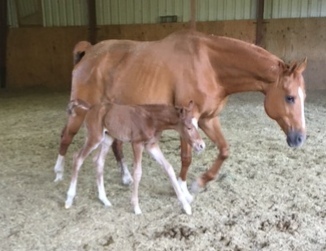 They are not impressive as foals but when started under saddle they shine due to their rideability, sit-down behind and balance under saddle. 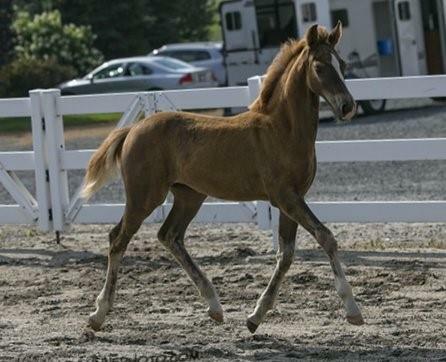 I hope he grows up to passage and piaffe like his sire, Netto! SOLD! Congrats to Sarah in VA! 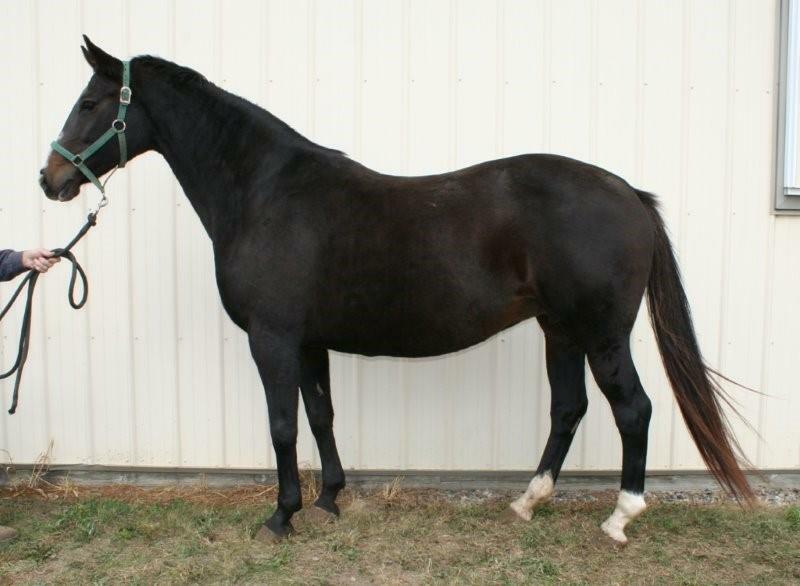 Now for sale in foal to our stallion Fhitzgerald for a 2016 full sibling to Fhantasia and Fhez. SOLD! Congrats to Nancy of MI and FL!